If you can wait one day, these are the most inexpensive way to get those tickets you need to get out the word. Our gang run next day tickets are printed full color on both sides at 2.125 x 6 on a 12PT card stock and glossy UV coated on both sides. If you can wait one day, these are the most inexpensive way to get those tickets you need to get out the word. 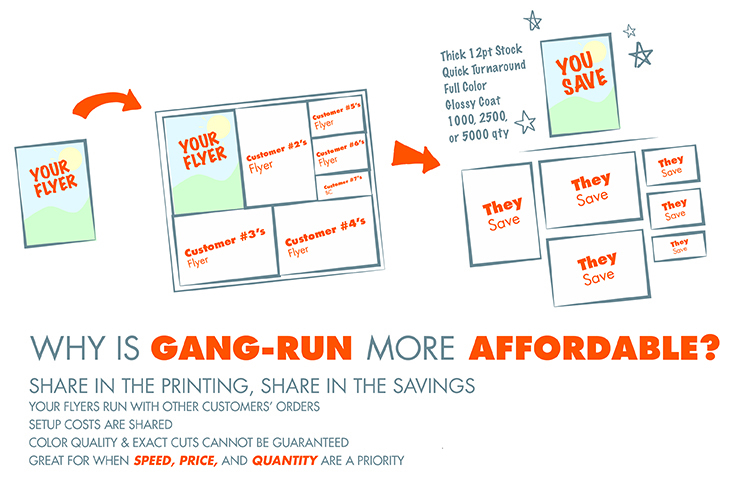 These gang run next day flyers are printed full color on both sides at 2.125 X 5.5, 2.125 X 6, 2.5 X 4.25, 2.75 X 4.25, or 3 X 4 on a 12PT card stock and glossy UV coated on both sides.